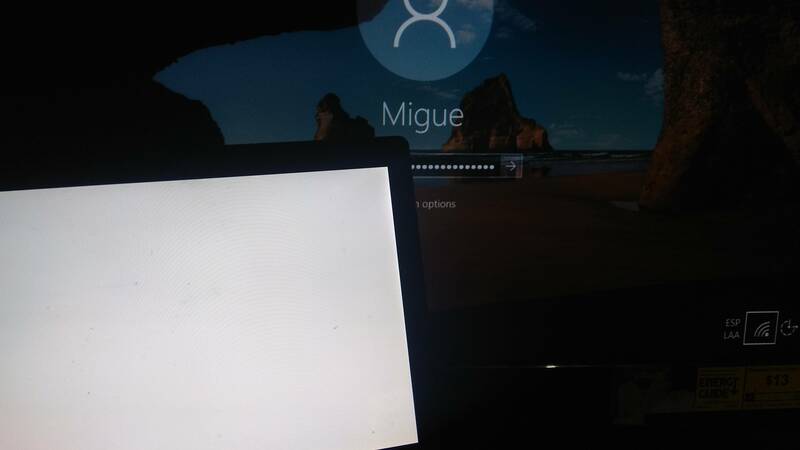 I turned it off and on again and it changed to a solid white screen with really-hard-to-see vertical lines. The LCD is not cracked (I flashed a light while it was off and didn't notice any broken pixels) and flexing the upper chasis does not change the pattern. None of this fixed anything. I must note that it turns off automatically and connecting to an external display does absolutely nothing. Any help? Does it do this the second you power it on, or does it post at all. Miguelito, What does that text say on the screen below the coloured lines? That can be a number of things. Unfortunately unless you have other similar laptops for testing, the only way to troubleshoot is to spend money on parts. I’d start with the motherboard as that’s the most likely. If that doesn’t fix it, try the screen (make sure the inverter is built in). I would also replace the LCD cable since it’s so cheap. Good luck! If you do have test laptops, I’ll gladly help you troubleshoot. That's definitely the screen then. Replace the lcd screen and you'll be fine. Miguelito G. sera éternellement reconnaissant.